The antique elevators have been replaced and their fabulous lift operators, Joan McQueen and Dimitri Bradas, have long gone. The letter drop system near the elevators on each floor no longer works; the system that allowed people on each floor to post letters to be collected somewhere on the ground floor or basement. The tiles are coming off the walls. Threatened with redevelopment. But the Nicholas Building on the corner of Swanston Walk and Flinders Lane continues to be a centre for art and design in the centre of the city. It is a very interesting building just to look at an office building from the 1920s. From the lead-lighting of Cathedral Arcade on the ground floor to the ghost signs on the old office doors. Hand painted gold lettering from another era from businesses that no longer exist: Miss V Synan, Alexander Lau Pty Ltd and others. The Nicholas Building had an open studio evening on last Thursday 22 of June. It has one every couple of years and although I am familiar with the building, its galleries and some of the studios I had not been to one of its open studios before. There were a few performances, exhibitions and other events were happening that night in the building. I was pleased to see the studio of book sculptor Nicholas Jones. I had seen his work for many years but it was great to put meet the person behind the work and his studio. Blindside and Stephen McLaughlan Gallery are the long term survivors in a building that has seen many exhibition spaces. Pigment gallery was followed by Edmund Pearce Gallery a contemporary art space dedicated to photography and now Kimono House a shop selling Japanese textiles and craft occupies the same space. Open studios are like looking inside people’s homes or at least their offices. The studios of artists, architects, cartoonist, clothes designers, cobblers, jewellers, milliner, toy makers, writers along with the office of the Bob Brown Foundation were open to the public for the night. There is a growing sense of history about the building. The late, eccentric and artist Vali Meyers once had her studio on the 8th floor of the building. There is now a small engraved brass plaque on the door frame of her former studio. I have been writing about the Nicholas Building since I started blogging. The Nicholas Building might be worth a chapter, if someone was going to write about contemporary artists studios in Melbourne as Alex Taylor has done with his book, Perils of the Studio (Australian Scholarly Publishing, 2007, North Melbourne). 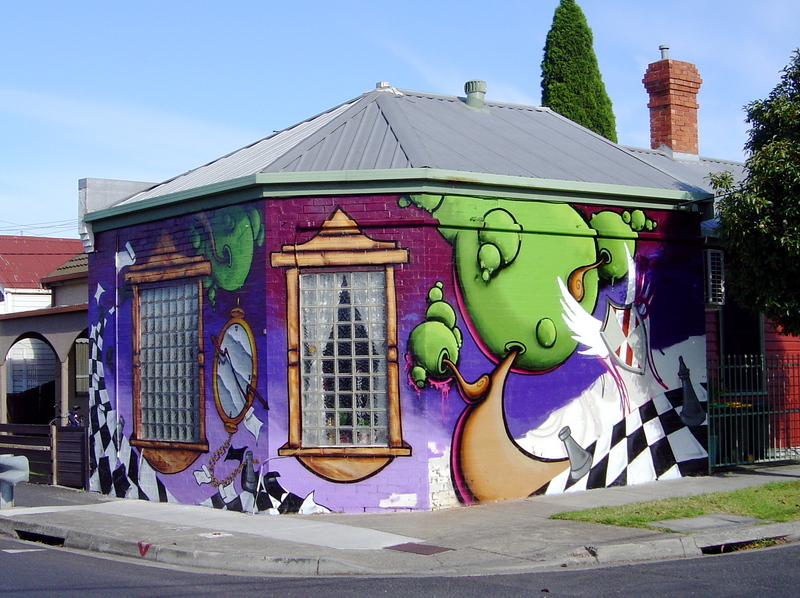 Perils of the Studio is about artists studios in Melbourne in the 1890 and early 20th Century. It is a very interesting, well researched and perfectly illustrated book (I know from experience how difficult doing a first book as an illustrated text can be so I am even more impressed by what Taylor has done). 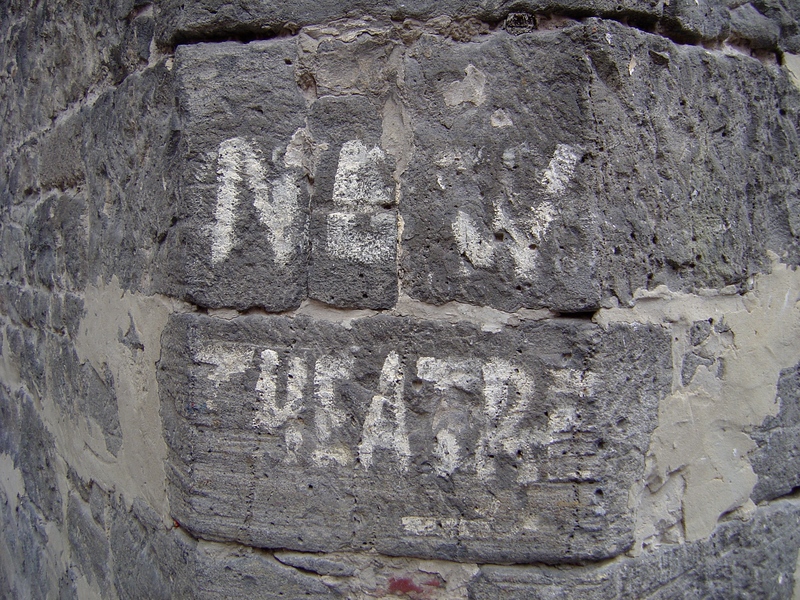 On the corner of Flanigan Lane there is the hand painted sign stating: “New Theatre”. Jeff Sparrow and Jill Sparrow give a short history of the New Theatre in their book Radical Melbourne. The sign dates from around 1937 when the New Theatre occupied “an old tin-doffed loft above a dishes garage next to the Duke of Kent Hotel on La Trobe Street.” (Sparrow and Sparrow Radical Melbourne p.28). The New Theatre was established by the Communist Party in 1937 and continued into the 1990s. The theatre at Flanigan Lane saw the first performance of Bertolt Brecht in Melbourne. In 1939 the theatre was declared unsafe and closed down but the sign remains on the stone wall. There are plenty of other ghost signs in that small network of lanes but the new theatre was the only one that I researched. The interest in finding and photographing ghost signs grows. My own take on it is less about the hand painted signs and more about the history and culture that the sign represents. The “Do Not Spit” signs at Flinders Street Station tell of a past Melbourne with an expectorating population that had to be told not to. 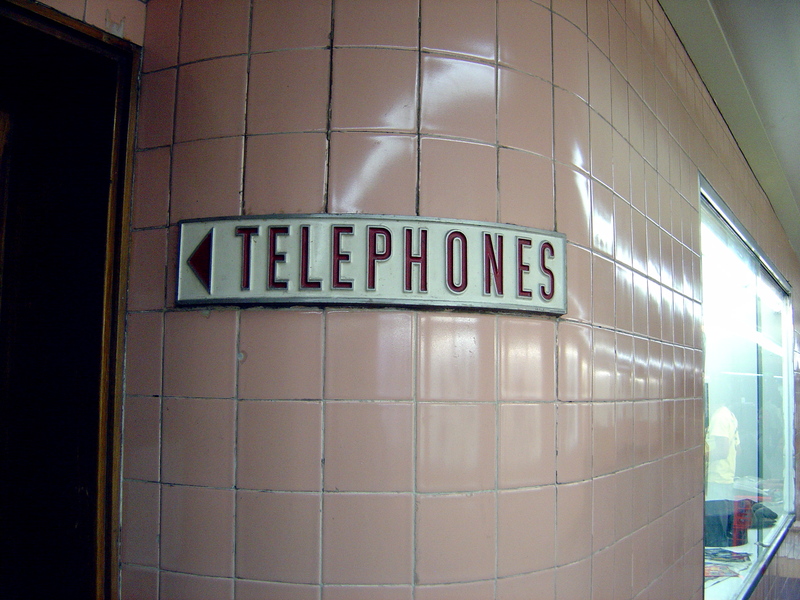 The metal “telephones” sign in the Degraves Street underpass points to a locked door behind which banks of telephone booths once stood before mobile phones made them obsolescent. 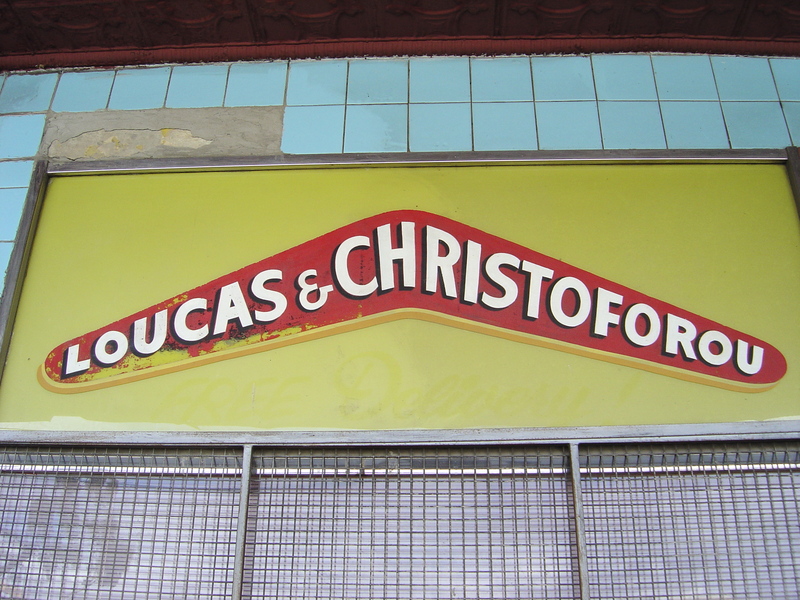 The boomerang shaped sign from former Brunswick continental supermarket on Lygon Street and Australian identity; for more see Our Fading Past – Our History in Old Signs. I have not been able to find out anything about the sign for Balkan Club in Melbourne, but there has always been a Balkan Club somewhere around the city. I am suspicious of the ghost signs from around Chinatown like “Commit No Nuisance” Heffernan Lane in Chinatown. These signs looks too good, perhaps they were restored in an earlier revival of interest in ghost signs. I saw them listed as number 4 selfie spots in Melbourne.The aesthetic popularity of ghost signs is leading to some being purposely revealed, restored or rectified. After the collectors, the fans and the academics, comes the photography exhibitions of ghost signs. Stephanie Stead’s “Signs of Our Times” at the City Library in July was the first of these that I’ve seen but I’m sure that there have been others. Stead’s silver gelatine prints are black and white except for the signs that have been hand coloured in oils. This old fashioned technique matches with the old signs producing beautiful nostalgic images. Good to see a legal piece in Brunswick preserving a ghost sign. I sent the photo to my friend and former LookSmart colleague, Stefan Schutt for excellent blog about ghost signs – Finding the Radio Book and he turned it into a post; A generational jostling for space on a Brunswick wall. Socks for the little girl in Lorretta Quinn’s Within Three Worlds, a red knitted plume for King Leonidas in Sparta Place, a ruff for Dianna’s panther in Paul Juraszek. 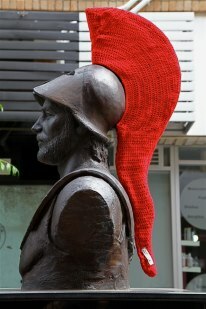 The Sun & the Moon in Malvern, Melbourne’s yarn bombers have been dressing up sculptures. The tradition of dressing up public sculptures comes from the dressing up of religious statues. If religious practices can be in bad taste then it is in the worst possible taste. It is the infringement on the moral rights of the artist is annoying in a way that decorating a pole or bench is not. The artist never asked for the contribution of the yarn bomber. On the other hand these are public sculptures and the public should interact with them provided that this does no damage. Street artists like, CDH and Will Coles both have done good interventions using public sculptures but they are always conscious of the moral and political issues involved in this intervention. This is a subtle difference like that between appropriation art and plagiarism. But I doubt that the yarn bombers thinking of anything other than adding their woollen touch and there is no evidence in what they produce that they are aware. I am one of the wanders, the flâneurs, the urban explorers, the ghost-sign hunters, the psycho-geographical explorers of Melbourne walk its streets. I love to explore Melbourne. The city is an endless mystery, a muse that inspires me, a great cybernetic organism that reorganising, regenerating, growing and dying and constantly moving. We who are also constantly moving no longer desire a walk in park, we don’t want designer urban environments with organized space. 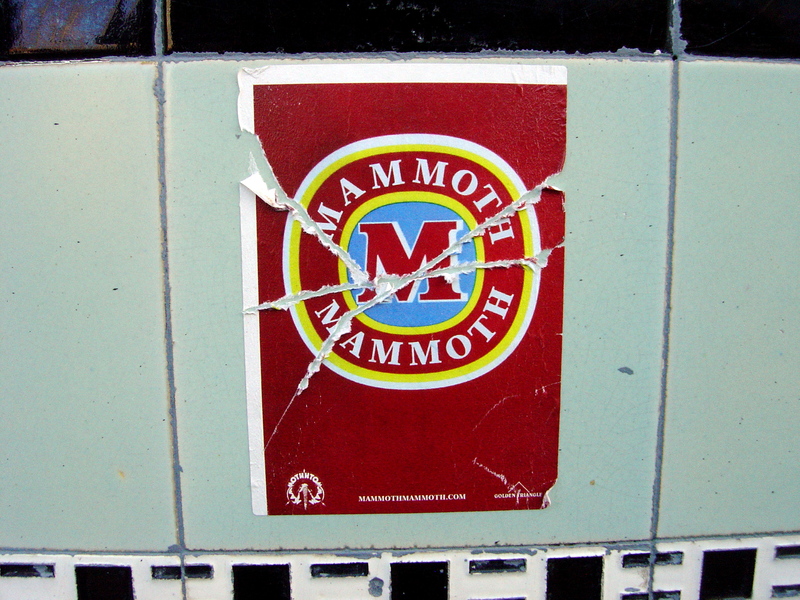 What we want is the disorganisation, the contrasts, the contradictions of the city and humanity. We want the sense of discovery. The designer environments shopping malls of Docklands or Southbank are too sterile compared to the culture along the long shopping strips of Sydney Road, Chapel Street or Brunswick Street or the network of lanes through the inner city. Melbourne has long had a street life worthy of exploration. George Sala, the special correspondent for the Daily Telegraphy in 1880s, the man who coined the term “Marvelous Melbourne” imagined Parisians flâneurs would feel at home on Bourke Street. The antique hand painted signs saying “Post No Bills” are all over Melbourne. 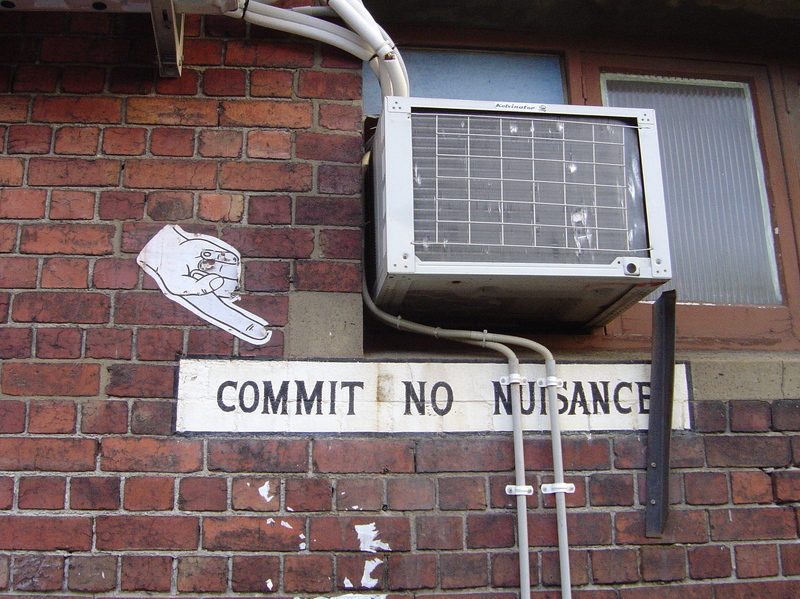 The signs in the laneways of Melbourne’s Chinatown reads: “Commit No Nuisance”. Fly posting, fly tipping, littering, expectorating, urinating, pigeons, stray dogs, stray goats, stray pigs, bell ringing, loitering, the hoists over the laneways – of all the problems that Melbourne’s streets have faced graffiti appears to be the least of the problems. 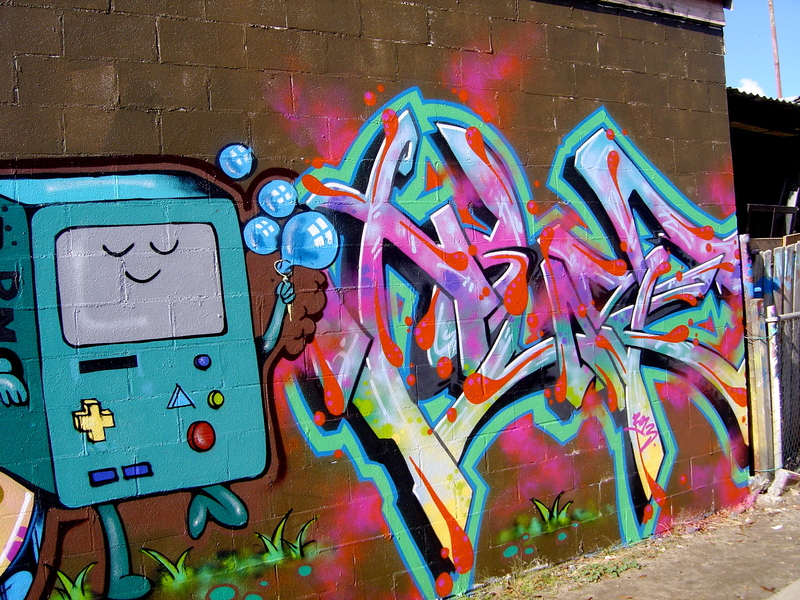 Graffiti and street art becomes an excuse to explore the city, to go for long walks with a camera. It guides the flâneur through the seldom-used paths. You can tell when you are walking with a street art fans by the way they look down each alley and lane to see if there is anything on its walls. There are ghost signs haunting buildings, the fading images of old advertising from the days of hand-painted signs suggesting previous lives and times. There are new things to see everyday. Underneath these streets the Cave Clan have been exploring Melbourne’s system of storm water drains for decades. 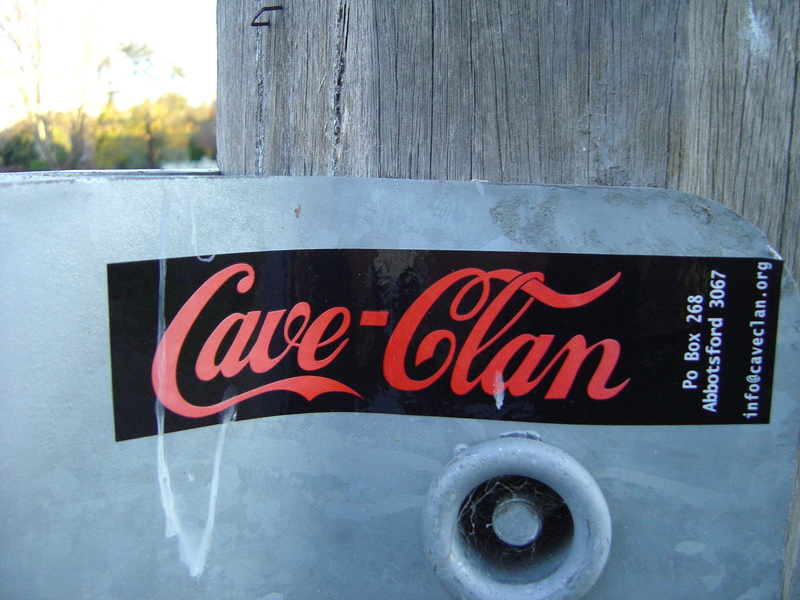 The Cave Clan also has created stickers and zines. Incidentally, all of these storm water drains empty into the bay instead of being treated, purified and re-used in a city with a water shortage. 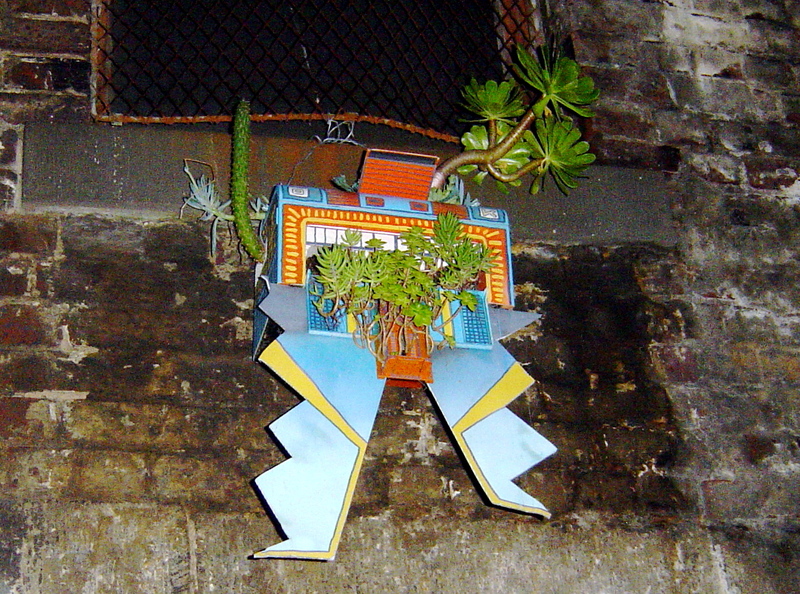 I’m looking for street art, for guerrilla gardening, art galleries, vertical gardens, unusual signs, urban wildlife and just the city. I enjoy walking; it is a healthy exercise for both the body and mind. What do you look for when you are walking Melbourne’s streets?